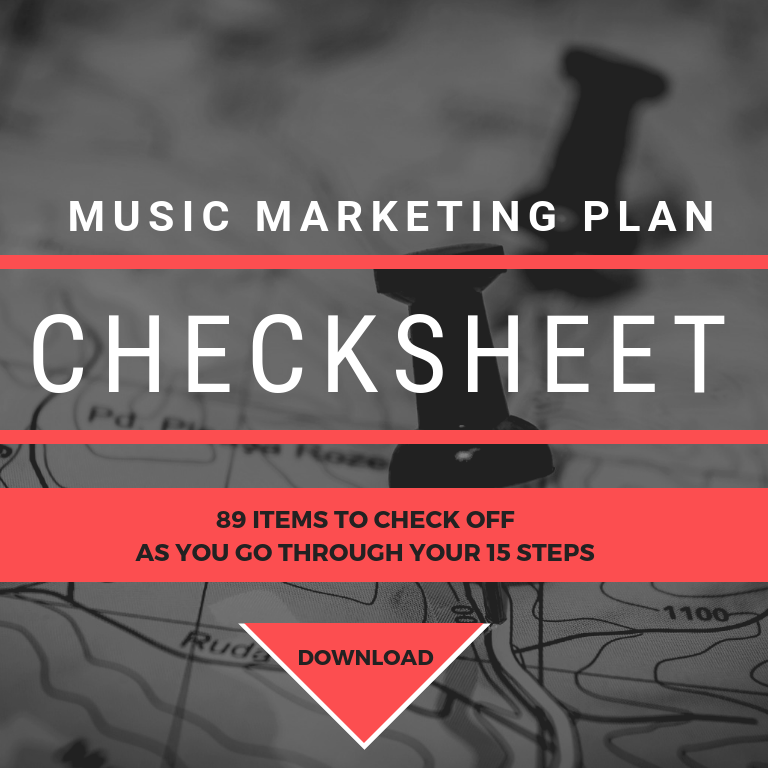 These Musician Marketing Plan posts are the most popular series on this site. They are fully updated for 2019. This is the final part of our series on how to build a comprehensive music marketing plan, which is the most effective thing we do as an agency. We have already outlined building a solid foundation in Part 1- The Nuts & Bolts, and outlined strategies for a successful music release launch in Part 2. Now it is time to kick back and relax for a little while before starting to write material for the next single, album or EP that you’ll release a year or two down the road right? …..Couldn’t be further from the truth. Take a look at the Part 3 VENN diagram which visualizes your Musician Marketing Plan. For each part, we have highlighted the sections we are covering in red so you can see how all of these parts work in concert with one another. Want more depth? 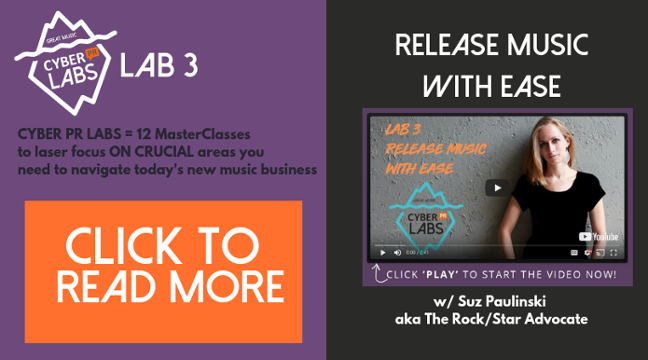 Watch Preparing For Your Music Release [Video] Musician’s Masterclass where I’ll walk you through all of these steps and provide more insight. Your job now during this phase of your music marketing plan is to keep supplying consistent compelling content in the form of new music and great social media. This will nurture your relationship and bonds with current fans and potential fans. And it’s time to start strategizing for industry connections and monetizing. This can also be the most exhausting as it is never ending so a plan is crucial for success. 11. Keep The Music Coming – This Keeps Momentum Up! As you know, a music marketing plan these days is about consistent releasing. Spotify recommends a new release every 4-6 weeks and we do too. Releasing singles and videos will keep fans engaged consistently which is what you are striving for. You also want to submit each new track for playlisting consideration. A skill set that you need for this is to understand how to use Spotify. Download my Ultimate Guide to Streaming to brush up on the most effective ways to get the music out there. Remember, you’re not limited to just releasing original new tracks. A best practice for keeping fans engaged with Spotify is the plan to release something every 4 to 6 weeks. This does not mean you have to write new songs although that is always great of course. Get a DJ to remix one of your songs. This does not have to be a famous DJ, someone who is familiar with what is trending on Hype M (if that is a goal), or has worked with an artist you love. If you’re interested in holding a remix contest you should contact the folks over at Indaba Music. They put together some great remix campaigns. Or take a page from Nirvana and release an album of stripped-down “unplugged” versions of your studio tracks. A great way to show a different side of the band and appeal to potential new listeners. Lastly release a live album, preferably from the release show, but any show will work as long as the audio is of top quality. Video is an integral part of your music marketing plan. Share and upload more videos: official music videos, lyric videos, live videos, vlogs, Facebook Live sessions, Instagram Live, etc. Music fans love covers. Recording cover songs is a great strategy for your music marketing plan because it works to gain awareness by tapping into wat people already know and it provides fun content to share with your fans. 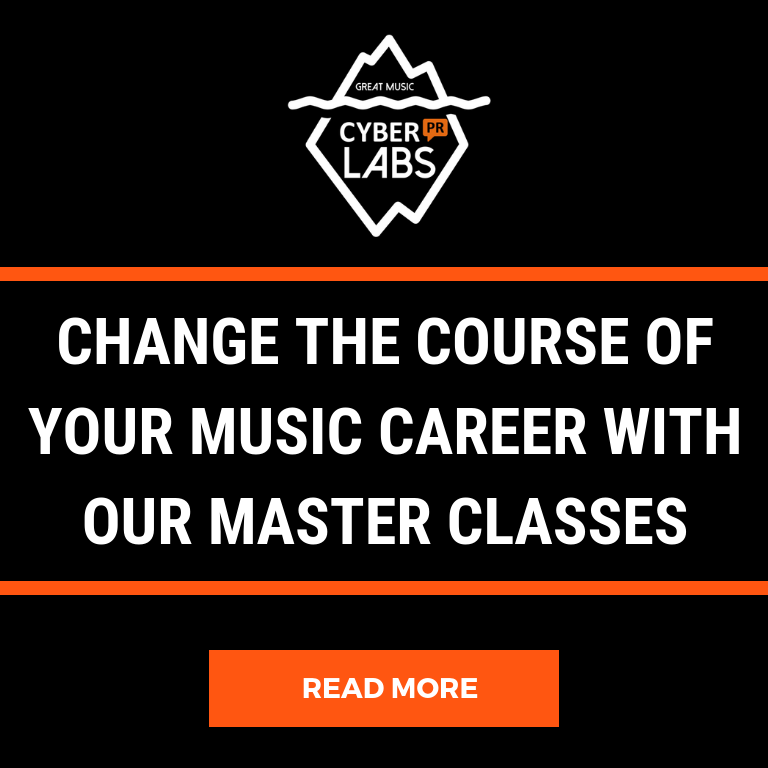 You can cover artists that inspire you, or similar sounding artists to further entrench yourself within your genre. Don’t box yourself in though. Covering a song outside of your genre can be a great way to tap into a whole new fan base. This is exactly what the pianist Scott D. Davis did when he decided to combine his love of heavy metal with the beautiful piano pieces he was recording. The result was millions of YouTube hits for his metal covers and new fans out of the heavy metal community, even of the artists themselves; Scott has been invited to open for Godsmack, Korn, P.O.D., Sevendust, Vince Neil of Mötley Crüe and Queensrÿche among others. *Please note, to legally sell a cover song you will need to obtain and pay for a mechanical license. 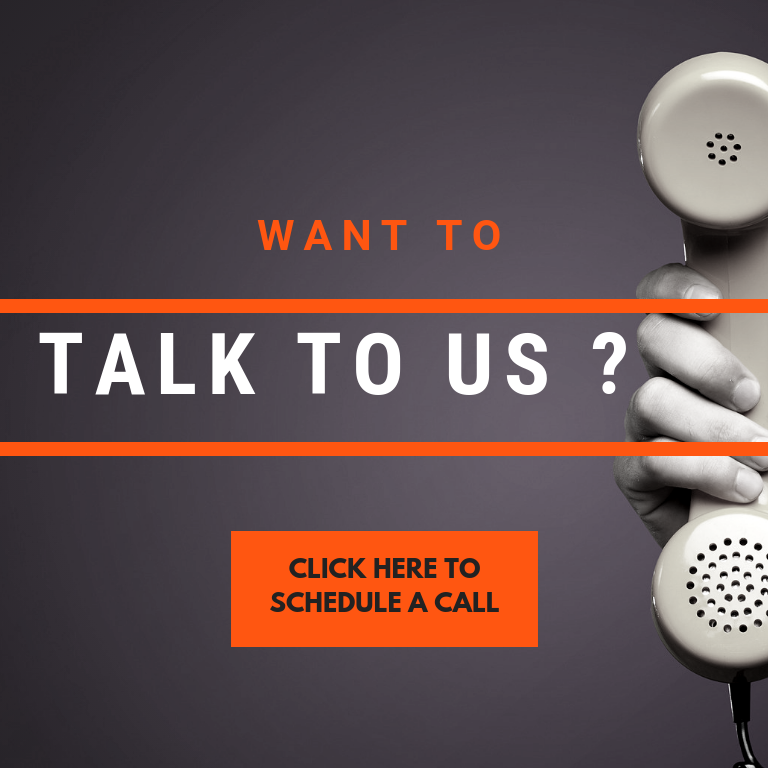 Harry Fox Agency is the foremost mechanical licensing agency in the US. Or work with Easy Song Licensing who will get the license for a small fee per song on top of the mechanical license fee. To legally make money from your cover songs, work with the company We Are The Hits. In the desperate desire to try to connect with as many fans as possible artists are forgetting something: not everyone “out there” is the same. You need to understand the differences and create a separate way of communicating with each community. Some may be following you simply because they liked your sunglasses or your cat and have no idea you are even a musician, while others are waiting to like and comment on every post. I wrote a 3-part series that explains how to nurture each one up to the next level of fan. These are fans who are primarily Your Live Audience. You know them by name. If you play out live, they attend your shows regularly and buy many things you offer (not just music). If you have a street team they are on it and they evangelize strongly on your behalf. They are the first responders when you post on your socials and they are following you on multiple channels. It is important to remember to talk to fans at your live shows and get as much face time in when you can. In LAB 5 Eli Lev walks us through how to get an army of fans and shows how he moves his 3 communities every day. Newsletters should still be going out once a month, blog posts being posted, and socials should never go stale. Just because you may not have a big “news” item (for example a new release) doesn’t mean you should stop communicating with your fans on a regular basis. 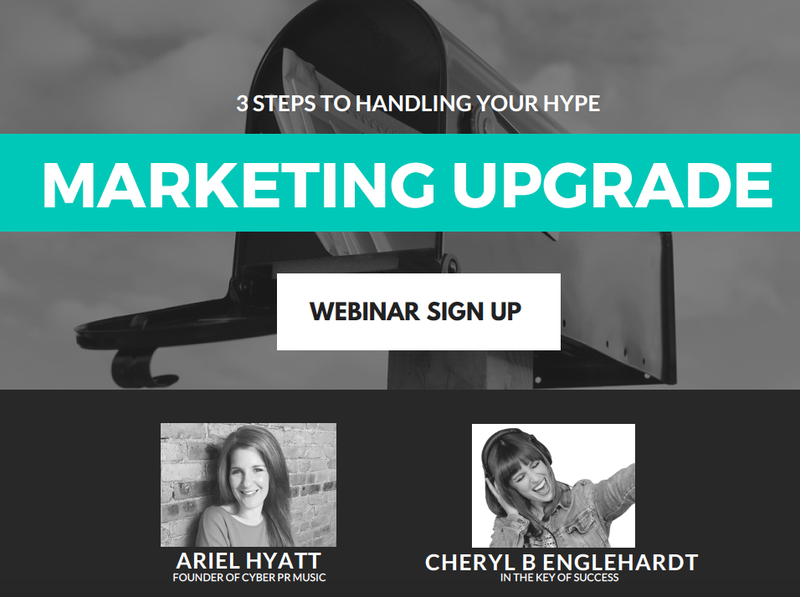 Cheryl and I talk about nurturing in our Handle Your Hype Webinar. You should be updating daily and updating also means responding to and interacting with others. Post about things happening in your personal life, repost interesting articles or news items or post a song from a band that you love. News, food celebrity gossip, parenting, fashion, art, and sports all make good topics for people to engage and connect around. Let your personality show! Social Media rules are constantly changing so be sure you keep up on social trends. We love Mashable, Social Media Today, and Social Media Examiner. Follow our Social Media Pyramid for content guidance. Add hashtags to Instagram of course but also to YouTube, Twitter, your Blog, or whatever your favorite social media channels are alive and active. ALL PR – blog, newspaper, magazine, show listing, podcasts, etc. Milestones – Spotify playlist counts, award nominations & wins, etc. The whole point of having a music release strategy in the first place is to leverage it to get your big picture goals. Don’t be a jerk and expect others to come to you – follow people and make friends. If you are not interested in them they shouldn’t be interested in you (it’s a 2-way street). To brush up all of your socials efficiently download my book Social Media Tuneup and get started! I have never met a successful musician who does not rely on at least a few people in the music industry. Even if you never want to sign to a label you will eventually build a team to help you. This could include management, booking agents or service based companies to handle things like playlisting, publicity, marketing, distribution, production, and the list goes on and on. An incredible place to meet all of these types of people and more is at music conferences. Conferences give you the opportunity for networking and self-growth. Once you are there you want to be memorable. Music conferences are invaluable when looking to learn and to grow in the industry. There are so many types to choose from depending on what kind of thing you like – small and intimate, huge and overwhelming, hyper-focused or more general. No matter which one you decide to attend events you will have the opportunity to immerse yourself with networking, meeting established professionals and making connections with other artists all who can be vital to your growth. Here is my guide to all of my favorites. This is okay some people don’t like them and many can’t travel to get to a conference. There are a lot of ways to connect with industry. Visit Music Industry Newsletters and sites to get inspiration and keep up with names of people you may want to meet and latest industry news we highly recommend signing up for –DIY Musician, Water & Music , Platform & Stream, Hypebot, and the Billboard Biz newsletter. You should also sign up for Penny Fractions/Revue newsletter! And, there are many wonderful mentors you should know about who are working tirelessly to help support artists with free and paid options. I love all of the teachers of my LABS classes and read follow The Rock/Star Advocate, Bobby Owsinski, Cheryl B Engelhardt, Eli Lev, Randy Chertkow & Jason Feehan, Brady Sadler, Kyle Weber from IOTM, Michael Shoup, Brian Penik and Memhet Dede. I also highly recommend These 19 Rockstars who pitched in with their best advice for marketing including Ari Herstand, Bree Noble, Rick Barker, Bryan Calhoun, Ross Barber-Smith and Ryan Kairilla. Different kind of merch item to sell that you can load up with music, pictures, videos, lyrics, sheet music, etc. We also love the idea of creating unique DIY items as a vehicle of selling your music, our client Mary Jennings sells bolo ties at her shows and in her Etsy store when she’s not on the road. We loved hanging out with her and watching her fans try on ties after her set. Michele Enoch wrote this fabulous guest post on youbloom – The Ultimate Independent Musician Guide to Merchandise and it’s jam-packed with fabulous links and unique idea. Please avoid this costly music marketing plan mistake: You do NOT need to create merchandise until you have a fanbase who will buy merch and a sense of what they want to buy. Crowdfunding is a great way to fund an album, a tour or a big idea and by the time your campaign ends, your contributors are invested in both the idea and the journey, increasing their loyalty levels to “super fan” status. However you must keep in mind that the average crowdfunding campaign raises $7,000, according to fundable, and it takes dedication and perseverance to pull off successfully. Also – no crowd, no crowdfunding, so make sure you have a real dedicated fan base before you try this. In order to raise $5,000, you would need around 250 backers who would give an average of $20 each. In order to raise $10,000, you would need around 500 backers, who would, again, give an average of $20 each. My book Crowdstart, will walk you step-by-step through your entire campaign, and it comes with amazing done for you bonuses! Are another area that artists are moving towards, where people sign up to receive music via Bandcamp or support the creation of videos and content through Patreon. Just because people don’t buy CD’s anymore and even downloads are in a decline, people are willing to support artists, you just need to give them the platform to do so and interesting items and experiences to offer. Patreon is all about content. This means you want to have consistent content to keep your patrons happy. Make sure to share exclusive content only available through your Patreon page. Ultimately, the success of any kind of crowdfunding strategy will come down to you reaching out to your network through your newsletter, social media and getting them involved with both the funding and by helping to spread the word about your Patreon to their friends and networks. Backstage meet and greets, private Skype sessions, and dinner with the band before a show are all possibilities and should be built into your music marketing plan. You don’t need to run a crowdfunding campaign to sell experiences. Many indie and major label artists are taking advantage of them. Mention your Patreon on your website and across your social media platforms. Go so far as to mention it in your YouTube videos and include a link to your page in the description. Take the burden of promoting solely off your shoulders by evaluating your current network. Think of all the people that you know, people who have access to mailing lists, websites, blogs, and large social media profiles that you would be able to utilize to get the word out further about your Patreon. Entice these individuals to get involved. Have another composer do a video or song with you and then spread that to their networks. Fans can only get that song by joining your Patreon. We don’t want you to finish reading this 3-part guide overwhelmed! When we write Total Tuneups for our clients the intention is that they will take a full year (or more) to successfully implement. This requires a mindset which will allow you to stay in it for the long haul. We know the fun parts – making the music and playing live are not the parts that are hard to focus on. It’s all the other stuff, the 15 elements outlined here that can be challenging. This is why I designed Cyber PR LABS to address each and every part you may not know all about in an effective and targeted fashion. They cost less than 99 bucks each and they will give you access to a great community of like-minded artists as well as to the amazing teachers I hand-picked to run each LAB. this was really dope and gave me hope thank you! Glad it did – keep on going! Hi! Wonderful article. Validating and informative, I am certainly a fan. I noticed the offer to discuss individual promotional plans. While this article was extremely helpful and I have much to do before our first album release, I would love any professional feedback. Hi Daniel! I’m glad you found it useful. I just followed you on Instagram. I Love your branding and vibe. I can tell immediately who you are as an artist. Thank you so much! Glad you are enjoying it!